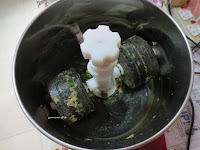 I have posted Urad Dhal vada (medu vada) and Thayir vada earlier. I remember seeing microwave version sometime ago on Sun TV. I wanted to give it a try. So when I made original Thayir vada I kept the dough in the fridge to try out baked one. To my surprise I couldn't find any difference between baked and fried one.. It is extremely good and tasty. 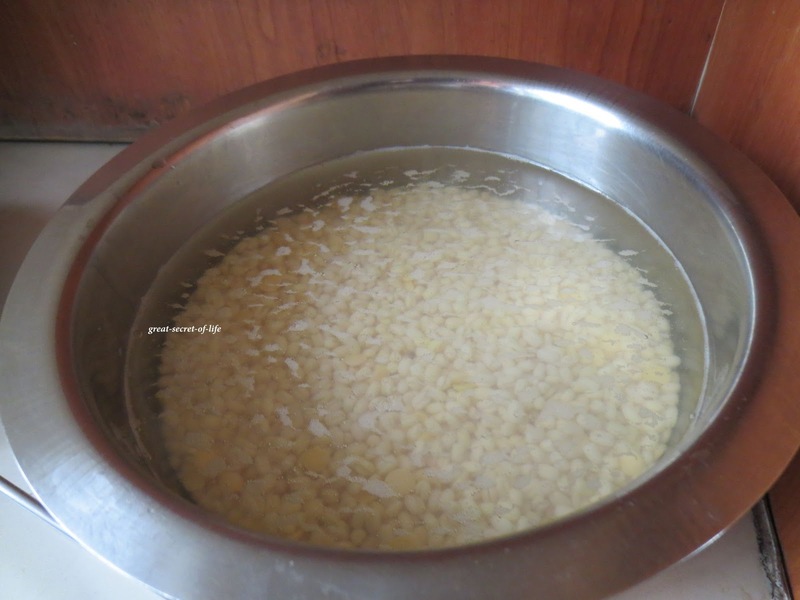 Wash and Soak urad dhal, Raw rice and Thuar Dhal together for an hour. 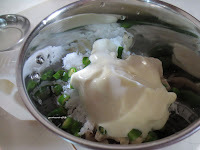 Drain off the water and grind soaked ingredients to a smooth paste by sprinkling little water. 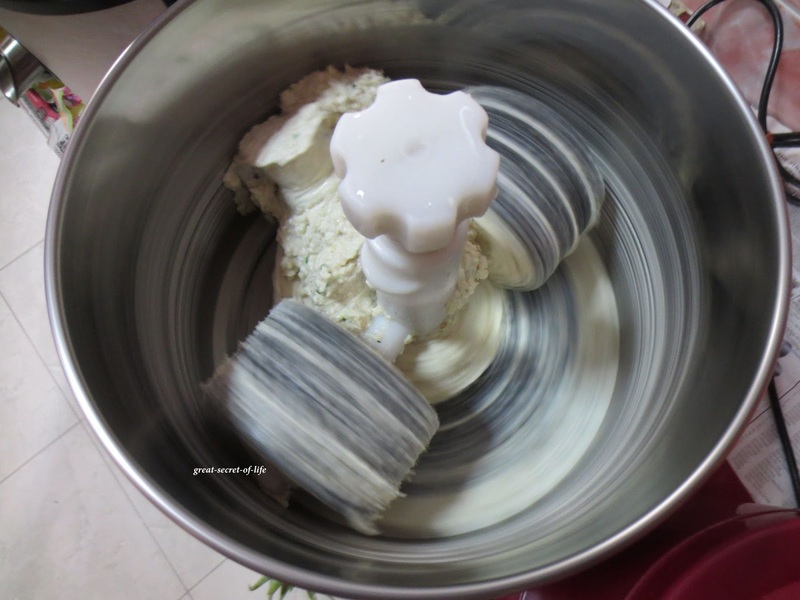 Add the chopped ingredients, Black Pepper powder along with salt to the batter. Mix it well. Pre Heat the over at 180 degree. Grease the muffin tray with oil. 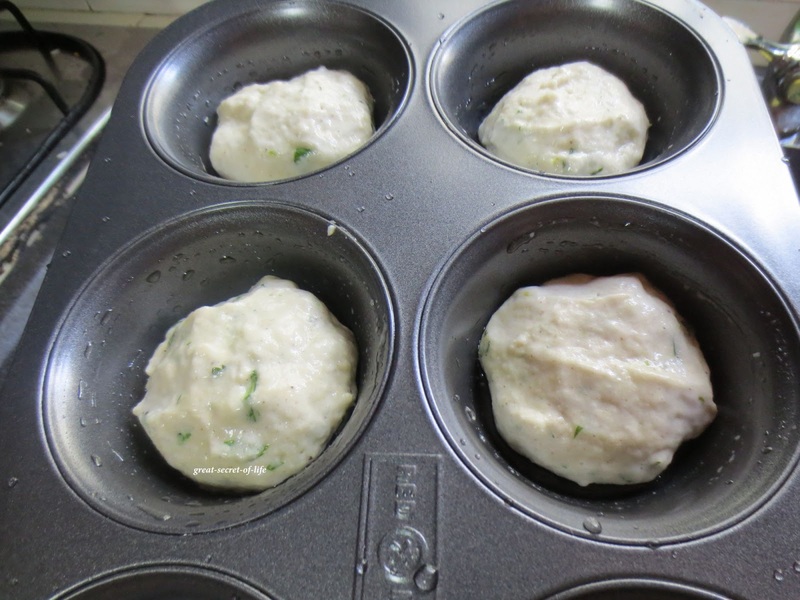 Take a lemon size ball dough and place it on muffin tray. 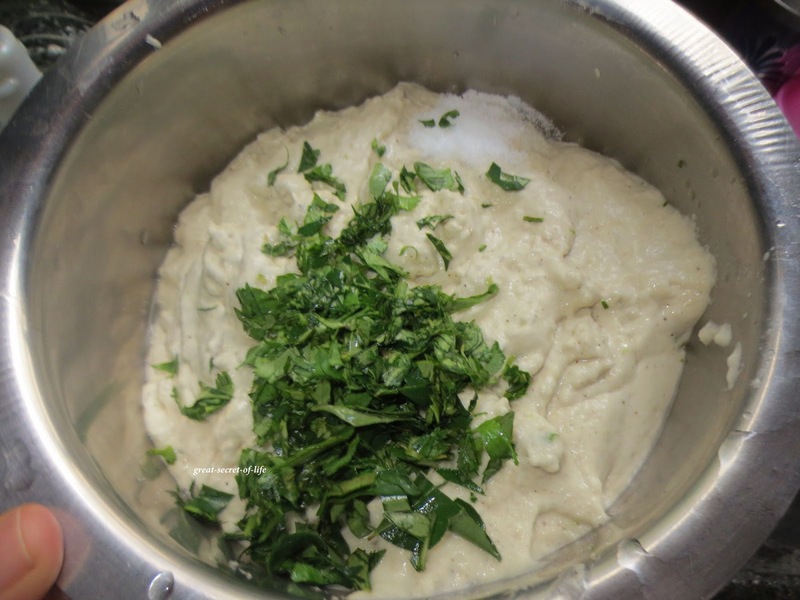 Bake it in microwave for 17-20 mins till it is cooked or when you insert a stick it should come out clean. Arrange baked vada in a bowl / plate. 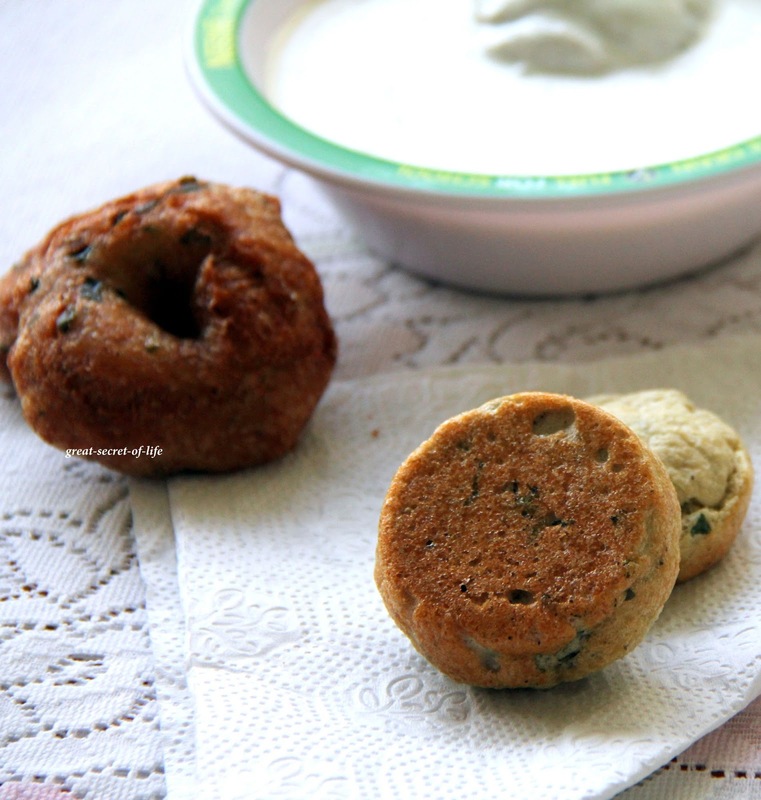 Pour Yogurt sauce on vadas make sure vada is fully dipped in yogurt. Sprinkle coriander and carrot around it. Allow it to get it soaked for 30 mins. 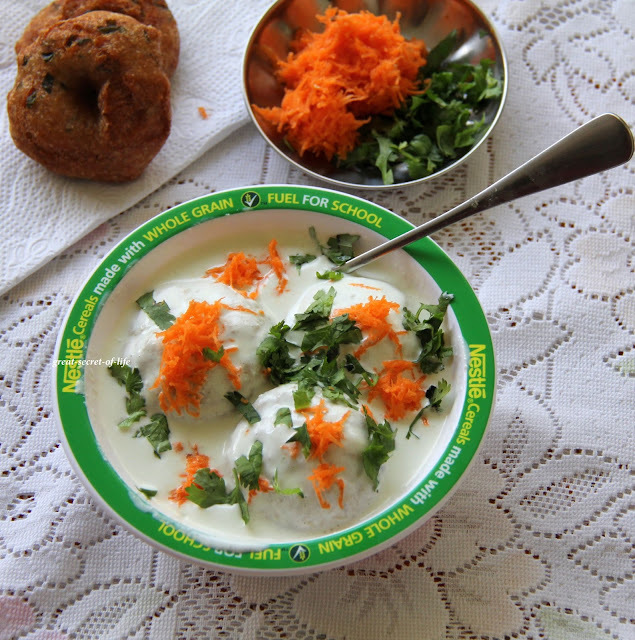 Healthy vadas and still pack with flavors. Very healthy recipe .love it. Healthy variation! 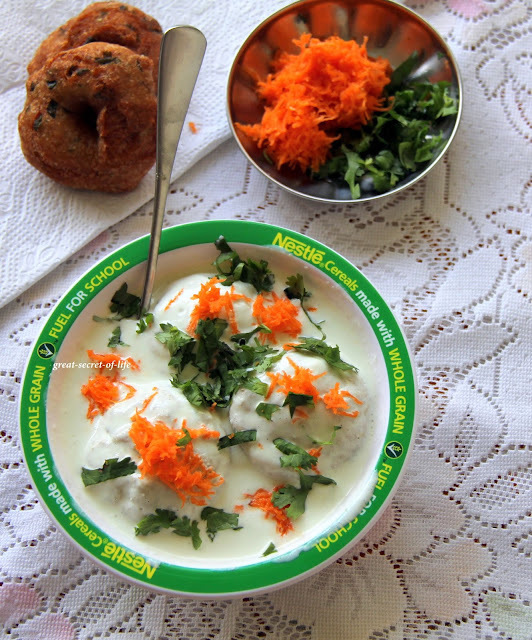 love Thayir vadai, next time will try baking...looks absolutely delicious n tempting! That is so innovative. Never thot of baking vadas. This is such a healthy option I would gorge on it anytime! I usually cook vadas in paniyaram kuzhis...shd try ur baked version too!!! baking vadas is a great idea,yummy thayir vadai!! The last click is so good the tricolour. Looks delicious.